I got a completely unexpected nomination for the Liebster Blog Award - I guess this will serve as a wake up call to write more often! 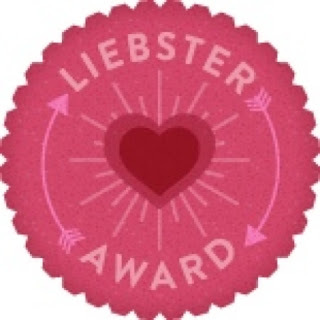 Liebster is a German word meaning dearest. However, in the context of blog writing, it can also mean favorite. The award is given is given by the blogging community to bloggers who have less than 200 followers in acknowledgement of the good articles and posts they have written. In presenting a fellow blogger with the reward, the nominee is encouraging him/her to continue creating interesting and inspiring posts. I thank Surabhi Bafna, author of the blog ‘Vivacious puerile’ for nominating my blog for this Award. I am glad she found my blog suitable enough to grant me this nomination. Rules for receiving and passing on this nomination further. Kindly thank the person who nominated you and acknowledge him/her by mentioning their blog link for the same. Go to their blog and Inform them about this by commenting on one of their posts. Don't tag back the person who mentioned you. I can live in the library. I am so glad that I am finally in a country where I can borrow as many books as I want to for free! I am very possessive. About everything and everyone. I collect little bits of information about everything. Which makes me a good conversationalist. Up to a point. I have a penchant for reading long dead books. I have read the entire Animorphs series - 57 books - and the entire Doctor Who Series - both of which have been long dead in public memory. How many have even heard of 'Anne of Green Gables'? Another of my favorite series. My dream home is minimalist - lots of space, lots of books and the heavenly aroma of food. I respect all life - I am totally against specism and carnism - 2 belief systems - so deeply entrenched in humanity that they have only recently been named. Google to know more. I love flowers. I just need an excuse to buy them. I have the most insane dreams at night. I found it ridiculously hard to make this list. Describe you in one line? 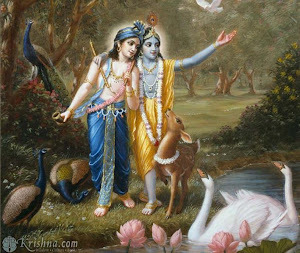 - A Hare Krishna - an ISKCON member and an aspiring servant of Lord Krishna. What is your Aim? - to live a God centered life. One person whom, you want to be with you all your life, why? (not parents, lover, children) - sorry but this has to be my husband. The person whom you miss desperately, why? - My brother cos he's my best friend and my soul twin. Social Networking in your view? Satisfies my gossip instincts. Do you believe in Love at first sight? if no why? No because I am a head person. One thing you would want to change in the world today? If your room was on fire what would be the one thing you would try to rescue? One quality your dream guy/girl must have. Which do you prefer more and why - books or music? Careerwise, are you doing what you love to do? One thing that completely turns you off? For writing blogs that are interesting, insightful and fun! Keep blogging! Life is beautiful..!! Whatever it turns out to be. For this very special friend..
Polka dots and happy thoughts! This blog has been moved.